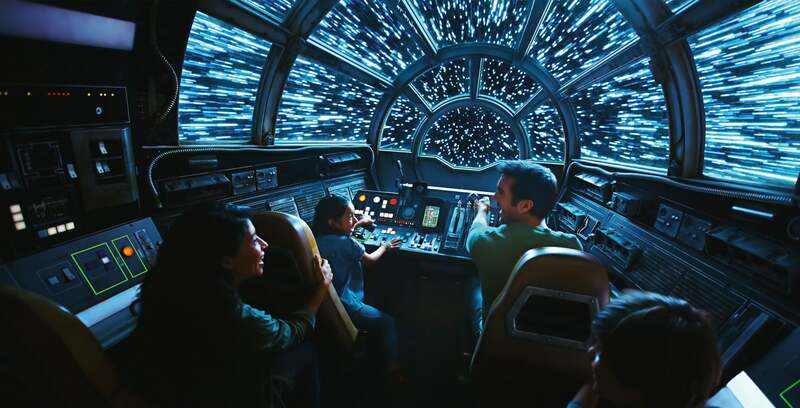 Last week, our sister site io9 was among a select group of press to visit Star Wars Galaxy’s Edge at Disneyland in Anaheim, California. 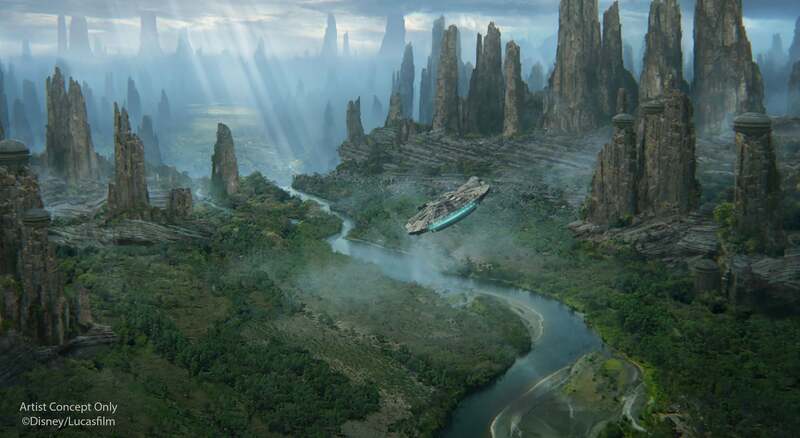 The largest land expansion in Disney history is still months away from opening (summer 2019 in Anaheim and fall 2019 in Orlando is all the company is officially saying for the moment) and is still an active construction site, with upwards of 1,000 people working on it 24 hours a day, seven days a week. Everything is muddy. There’s scaffolding everywhere. You have to avoid large pipes and walk on thin two by fours across huge holes. This is not remotely close to what fans will experience when the doors open later this year and yet, it’s already one of the most exhilarating places I’ve ever been. 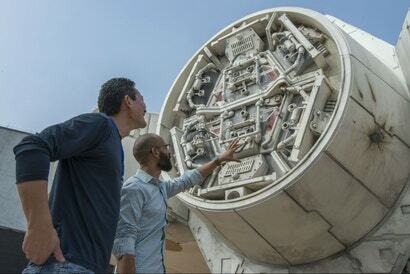 One of the centerpieces of Galaxy’s Edge is a full size, 1:1 scale Millennium Falcon. It’s over 30.48m long, probably 7.62m high and is covered with all the little tubes and pipes you see in the films. Everything. There it is. Right in front of you. 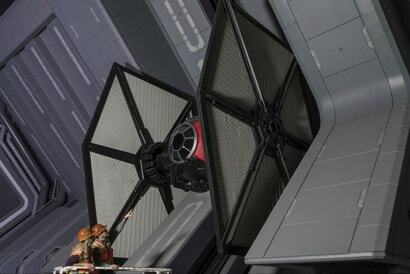 The fastest hunk of junk in the galaxy is real and words simply can’t do justice to describe what it’s like to stand beneath it, especially for a massive Star Wars fan like myself. It’s as if your wildest fantasies have finally been brought to life. “Magnificent” isn’t strong enough. “Awe-inspiring” doesn’t come close. It’s just… perfect. The Falcon is there to mark one of the two main attractions fans will find in Galaxy’s Edge. First is Millennium Falcon Smuggler’s Run, which allows guests to fly the Millennium Falcon, and second is Star Wars: Rise of the Resistance, which is a multi-faceted experience that has guests becoming part of the Resistance, being captured by the First Order, and then escaping a Star Destroyer in one of the biggest, most elaborate, and longest rides in the history of Disney. Even the layout of the land has a story. Black Spire Outpost is one cohesive area but, in reality, it’s divided into three sections. On the west side is a large wooded area, which is where the Resistance is hiding. It’s here fans can check out Rise of the Resistance, buy Resistance gear, or take their photo next to a 1:1 scale X-Wing or A-Wing. The center section is a large, bustling marketplace, filled with food and merchandise stands, and all kinds of weird oddities. 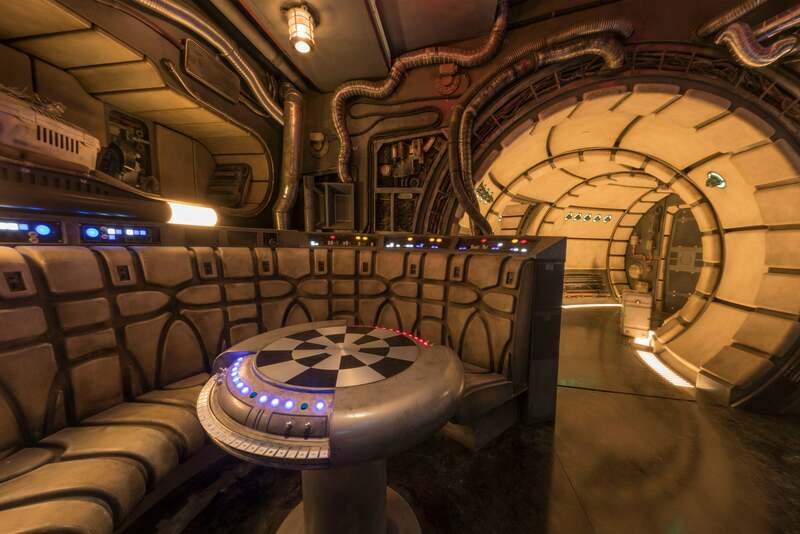 This is where guests will find Ohnaka Transport Solutions, the location of the Millennium Falcon as well as Smuggler’s Run. 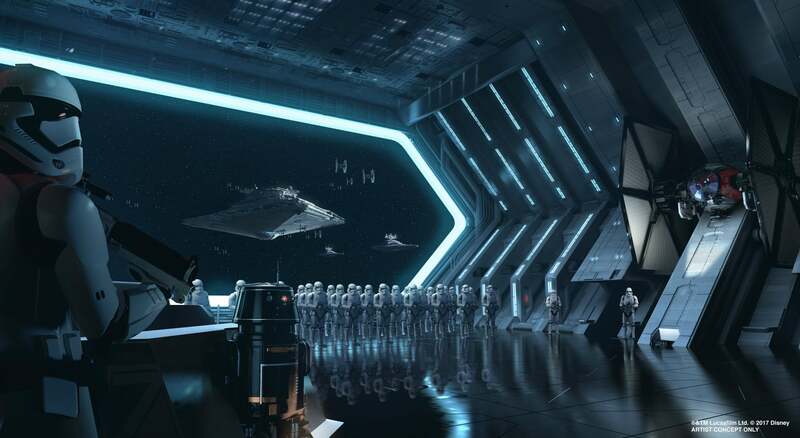 Then, on the east side, is the First Order encampment, which is where a never-before-seen TIE fighter called the TIE Echelon has landed and stores are filled with First Order gear. Some of these details have previously leaked, but now, they’re official. The story behind Smuggler’s Run is that Hondo Ohnaka, the devious pirate seen on Clone Wars and Rebels, needs some help. He’s bargained with Chewbacca to use the Millennium Falcon to smuggle goods but he needs a flight crew. Guess who they’ll be? 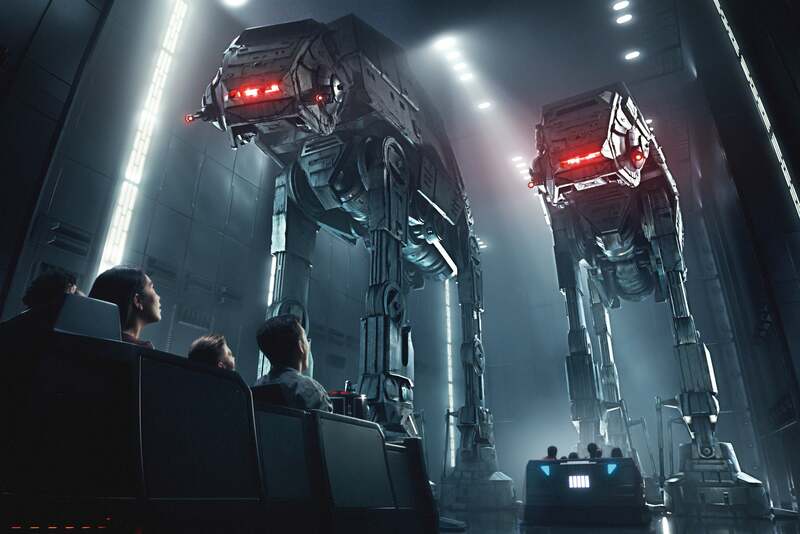 The line takes guests through the maintenance hangars of Ohnaka Transport Solutions which are designed to give guests constant views of the massive Falcon parked outside. (How exactly the Falcon got there is detailed in the book Pirate’s Price by Lou Anders, but that’s just a fun aside). Hondo himself is in there too, the first time the character has been given a three-dimensional, talking form. He’s the second most complex animatronic character ever created by Disney (behind the Na’vi shaman in Pandora), and he explains the whole story to you from inside his shop. Once you get to the front of the line, you’re split into groups of six, given boarding passes, and invited to spend a few minutes in a waiting area. On the other side of the park is Rise of the Resistance — and if you thought Smuggler’s Run was cool, it almost feels secondary when compared to this experience. 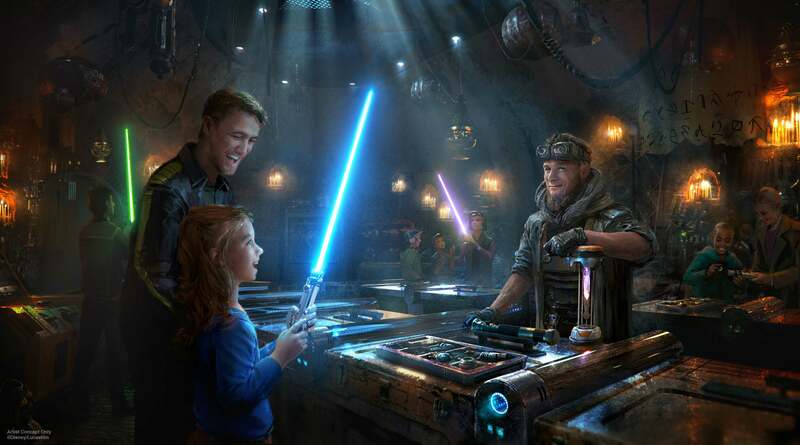 Much like Smuggler’s Run, there’s a massive, massive line area to walk through which is populated with cool little knick-knacks throughout, such as a locker full of Resistance outfits. When you finally get to the front, an animatronic BB-8 will greet you along with a hologram of Rey, who is played by actress Daisy Ridley. She’ll welcome you to the Resistance and ask you to go on a top secret mission against the First Order. Folks, that’s just the tip of the Star Destroyer. 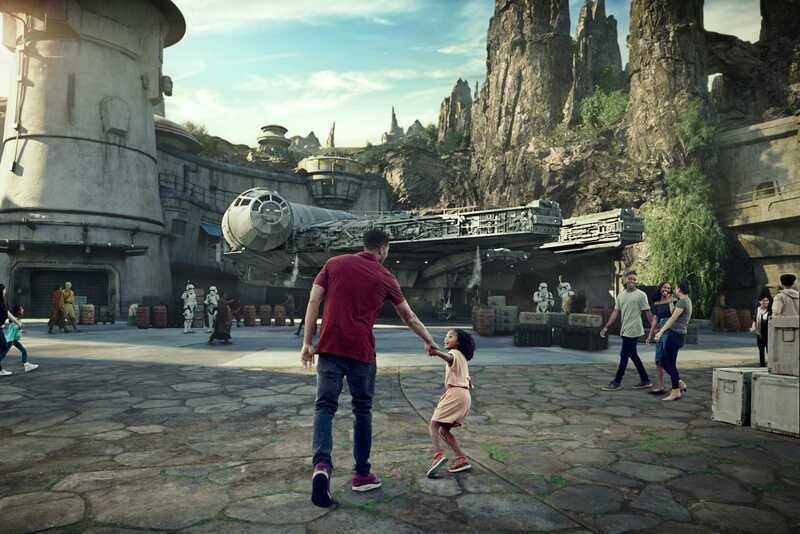 We learned about Galaxy’s Edge for three full days and tomorrow we’ll bring you more about its story, development, food, merchandise, app integration, and much, much more.